This week, it’s how to regain honor levels, an update on Invasion, and tips on escaping Diamond 5 (or any other Elo hell). Hey riot i was wondering how to get back my honor because at the moment I’m unhonorable although I’ve been doing well at keeping my behaviour to a minimum. So I just wanna know how many honors will i need before I can get level 1 honor back again. Good to hear you’ve turned over a new leaf! Your level in the Honor system is a marker of your consistency of sportsmanship—when you showed dishonorable behavior, you broke that streak of good play. So, in order to get to the next Honor level, it’s not about collecting a specific number of Honors to proceed, but about displaying a trend of consistent sportsmanship in your games. If you happen to lapse with regularity, you probably will be hard-stuck at dishonorable status—in this case, I’d suggest taking a long look at your game behavior and identifying some better ways to communicate with your team. But, if you continue to play games with a sportsmanlike attitude, you’ll find yourself making progress in the Honor system soon enough. Will the Star Guardian “Invasion” mode ever return? Our team was thrilled by the incredible response about the Invasion game mode. The world over, players banded together with the power of friendship to stomp some seriously evil space alien baddies. While we haven’t settled on the exact patch yet, Invasion will be joining the RGMQ and will be returning soon™. Thanks to all in the community who played the mode, and especially to those of you who gave us feedback and posted your reactions. This year we’ve been doing a fair amount of experimentation in game modes and with Summoner’s Rift—from the frigid cold of Winter SR, to the frenetic melee of Hunt of the Blood Moon, to the almost-creepy sci-fi of Dark Star: Singularity, to defeating the magical monsters in Invasion. 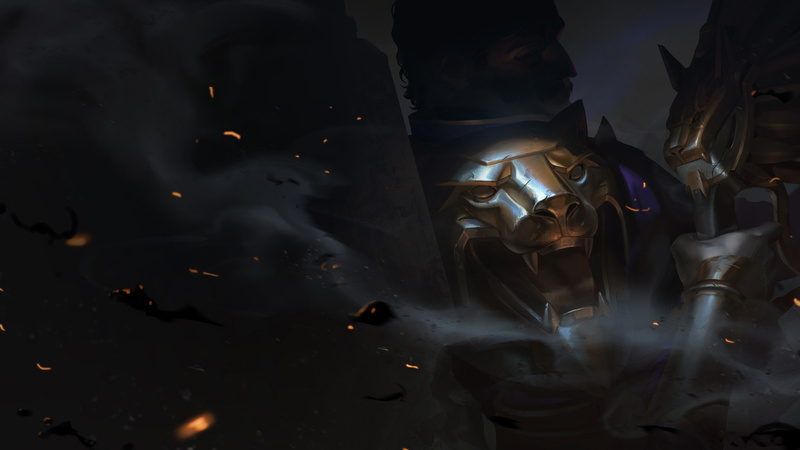 While there are plenty of moments we can look back on as “lessons of things to do better,” all in all, our team has felt super fortunate to have gotten to deliver experiences across a bunch of League’s alternate universes…and there’s only more to come! How do I get out of being hard-stuck in low Diamond (Vayne main, btw)? There are a few areas you can look at to improve your play! Watch a few replays of your games and look for obvious areas of improvement. How’s your cs per wave? You play a lot of Vayne, so how well are you positioning yourself in lane? Are you constantly being harassed by anyone with range (which is basically everyone who’s ranged)? How strong is your ward game? Are you buying a pink every time you go back to ensure some area near your lane is protected? Take some time to objectively look at how your laning phase goes, where your weaknesses and strengths are. Then try to keep some of those in mind as you lane, perhaps leaving open a word doc on a second monitor with things to do or a sticky note on your monitor. Are there supports you do well with in lane and some you don’t do so hot with? You could be great with Nami, and rather crappy with Thresh (Yeah, we all know Thresh is always good. It’s just an example). Working around your support’s play pattern and selection can also help influence the style you have to play in lane. And don’t forget, you can always ask in champion select if they’re good at a certain champ that you find you work best with. As for team performance, how do you approach team fights/how does your team approach them? Is it typical yolo queue and Vayne is left to fight the darkness alone while the rest of your team dives their back line? Does your team create a tight defensive ball that leaves your Vayne overheating by the protective shell they’ve formed around her? Is someone always over extended or pushing without vision? Take some time to look at the big sweeping things your team does and how objectives are played. Perhaps you can figure out better times to play for baron or dragon and when to defensively ward. Tilt happens in many ways. A support who constantly takes cs or a kill, a fail flash over a wall, getting crit several times in a row by someone with 10% crit chance. One of the biggest things to focus on is your fortitude. Win streaks, loss streaks, having to play off your main, an enemy living with 10 hp, all can help make you think an impulsive risky play is the proper one every time. Also, when I lose two games in a row, I take a few minutes to grab a snack or get a drink, browse Reddit. I learned long ago to not keep playing on a losing streak after my college rule of ‘never end on a loss’ meant me and my roomie started at 9 PM and ended at 5 AM…Find a way to curb playing on tilt and you’ll go far.